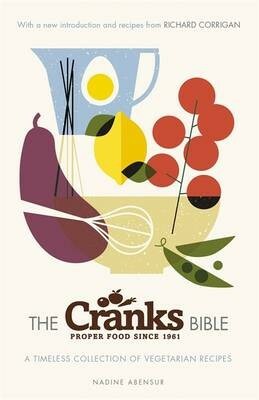 The definitive collection of Cranks vegetarian recipes, introduced by Richard Corrigan Since opening their first restaurant in 1961, Cranks have been pioneers of vegetarian cuisine and champions of organic produce. Here, celebrated writer and chef Nadine Abensur presents over 200 classic meat-free recipes from the Cranks kitchen. From pumpkin and parsley risotto to aubergines with smoked ricotta, walnut and raisin loaves, passion-fruit ice-cream and plum jam, every recipe is packed full of beautifully simple, natural ingredients that will nourish both body and soul. With advice on selecting the freshest seasonal produce, eating healthily and enjoying the experience of making mouth-watering food, THE CRANKS BIBLE is a celebration of vegetarian cooking and an essential resource for every home.